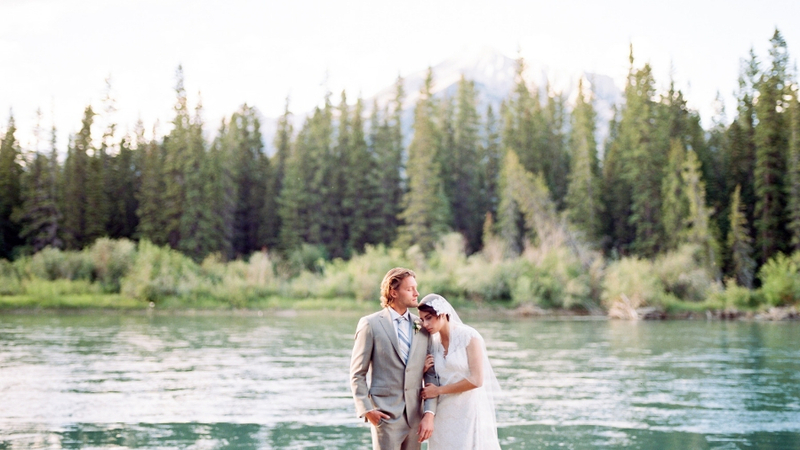 Here are our Banff and Canmore wedding planner FAQs. If you have further questions don’t hesitate to ask! A: We plan and design weddings in Banff, Canmore, Lake Louise, Emerald Lake, Jasper, Fernie, Golden, Invermere, Radium, Cranbrook, Revelstoke, Red Deer, Rocky Mountain House, Calgary and other areas in the Canadian Rocky Mountains. A: We offer a full range of services including full planning and design, wedding day management, styling and set up etc. Wedding Design is our specialty and our “Wedding Design + Wedding Day Management” is our most popular service. Get in touch and we will send you our Services Guide. If you still aren’t sure what service best suits you, we can set up a short telephone consultation to help you decide what is the right fit for you. Q:What makes you different from other wedding planning companies? A: We believe your wedding should be personal to you and not look exactly like someone else’s wedding. We specialize in creative wedding design and offer in-house custom wedding decor. We help create a design concept that is tailor-made for you. We pride ourselves in personalizing your wedding! You won’t have to spend hours online searching for the perfect wedding decor. If you have something in mind, most often we can custom create it for you! You won’t have to pay for expensive shipping and duties either! Also, we know the mountains! The mountains are our home. We don’t produce only one or two weddings a year in the mountains, mountain weddings are what we do! Q: What style of weddings do you produce? A: We tend not to follow trends. Instead, we are usually ahead of the curve! We don’t copy what everyone else is doing, we usually produce weddings that everyone else wants to copy! We typically produce highly personalized weddings. They might be elegant and classic with personalized details, they might have a natural aesthetic or be rustic-luxe, or boho chic. Whatever the style, your wedding will be suited to you! Q: What size of wedding can you accommodate? A: We typically don’t service weddings larger than 200 guests as most mountain wedding venues can’t easily accommodate large weddings. Many of the mountain lodges we work accommodate 100 guests or less (approximately 35 to 100 guests). On occasion, we have accommodated up to 400 guests. If you have a large guest list, contact us early so we can determine if we are able to help! A: Yes we can! We love elopements and small weddings! A: Every wedding is different. Our involvement and services differ depending on what you need as well as your taste, the size of your wedding, the location, how many staff are needed to service your wedding etc. We usually ask that you fill out a brief questionnaire so that we can learn more about your wedding plans. We can give you a better idea of costs once we know what you need! Q:What form of payment do you accept? A: We accept e-transfers or payment via credit card/debit through PayPal. A: Yes. We require a deposit and then break the remaining fee into monthly payments. A: We often work with busy professionals who don’t have the time to spend countless hours planning every last detail themselves. We work well with creative couples who have a unique taste and want a wedding unlike any they’ve seen before. We also love working with couples that know what they want but need help creating a cohesive design and producing that design or couples who want us to design it all! We tend not to be a good match for couples who are not concerned with the aesthetics or design and are looking for the most affordable option. If you have more questions, we’d love to hear from you or check out our services for more information!